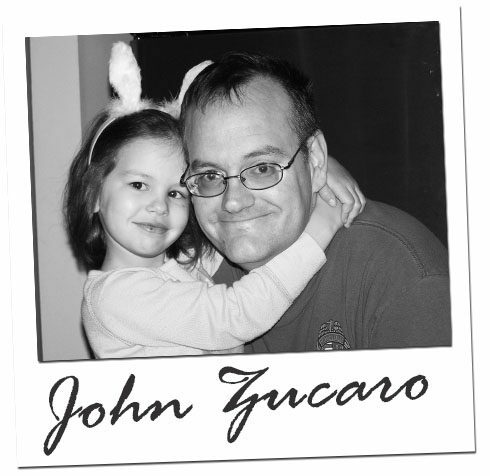 Meet John Zucaro from Wilmington, Delaware whose vision was so bad that he once "ran full steam into a swing set." Now he's seeing 20/10. 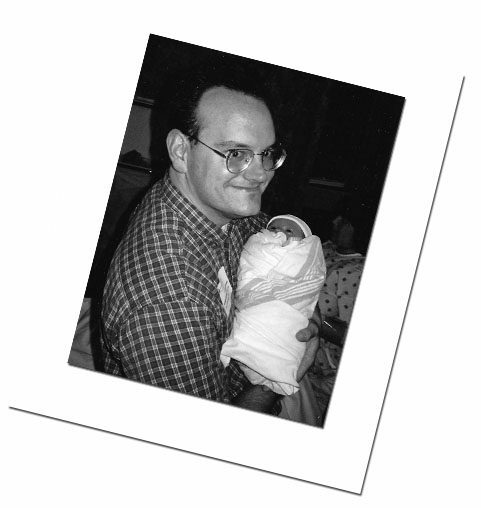 Here's his Visian ICL story. 1. When did first notice you had vision problems? When I was 4 years and in kindergarten, as the story goes, I was on the playground playing and running...and I ran full steam into a swing set. Let's just say, that encounter didn’t end well. When my mom picked me up, the teacher told her either I really needed glasses or I was really stupid. Who would have thought it would have been both. 2. In what ways has bad vision affected your life? When I was younger I wanted to be a pilot for the military and fly jets. Well, it quickly became obvious that if I was wearing coke bottle glasses, it wasn’t going to happen. I have always, since I was 4, worn glasses, and since I was 19, worn contacts. To see more than 4 inches from my nose, I always needed something. Although I wore contact lens since I was 19, which are an improvement over glasses, I now had to contend with the solutions, taking them out at night, and having my pair of glasses to change into. Also the re-wetting drops, an extra case, etc., etc. Seeing was always some type of chore. I would always ask my wife what time it was at night because I didn’t have my contact lens in and the clock was a fuzzy blob. Also at night, with contacts, my eyes would get tired and start to get itchy and burn. Never fun. And if I was out to a club (I like seeing live music) the drive home was always an ordeal. 3. When did you hear about Visian ICL? I heard about Visian ICL from my eye doctor Dr. Douglas Lavenburg (He is awesome! I unreservedly recommend him. He is very conservative in his approach and answered all my questions). One of his technicians told me about it as a possible option during my yearly eye check up. I had asked about LASIK but my correction was too great in his opinion. Anything above a 6 D correction, he would not do with LASIK, as the optics of the cornea would be all messed up. 4. How was the process in preparing for the Visian ICL procedure? It was okay. Dr. Lavenburg does things in lock step. First he did the scans and tests to see if I was a candidate (that I had enough room in my eyes, my cells were okay, etc.). Then I went for a week without my contacts (glasses only) to see what my prescription of the ICLs would be. Then I did the Yag PIs, like 3 weeks prior to my ICL implantation. He let my eyes heal up, no contacts, etc. between the surgeries. 5. During the procedure: What was the experience like? At pre-op, they started by giving me the drops to dilate my eyes and the anesthesiologist ran an IV for the sedation. Once I all hooked up to the monitors and the IV, I had some drugs running in me. I remember her asking me if I was physically active as in did I exercise (which I am), because I guess my heart rate was slowing down. Once she was satisfied with my answer, she hit the plunger, and that is the last thing I remember clearly until the next morning. 6. What was the first thing you saw with your new HD vision? I guess I saw stuff in the doctors office, and surgery center, but I don’t remember. 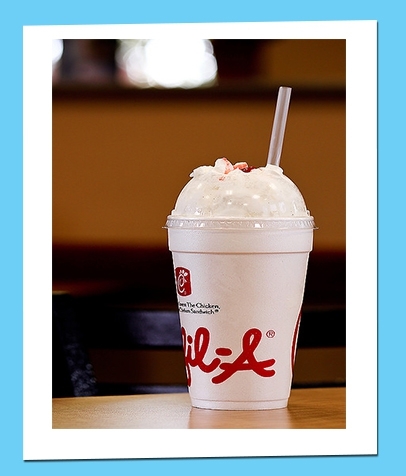 I can however say I remember seeing a Chick-fil-A cookies and cream milkshake! 7. What was your recovery process like? Recover was uneventful. I had to take numerous eye drops for the next month to ward away infection and steroids to maintain eye pressure, etc. Nothing really bad. Also I couldn’t swim for a week after the surgery. I guess my eyes were sore the day after, but the YAG PI was far more uncomfortable than the Visian ICL procedure. About 2 months after the ICL procedure, I had an AK to correct the Astigmatism my eye that was a nonevent. Post ICL my vision was about 20/30 due to the a Astigmatism after the AK, 20/10! 8. How long has it been since the procedure? 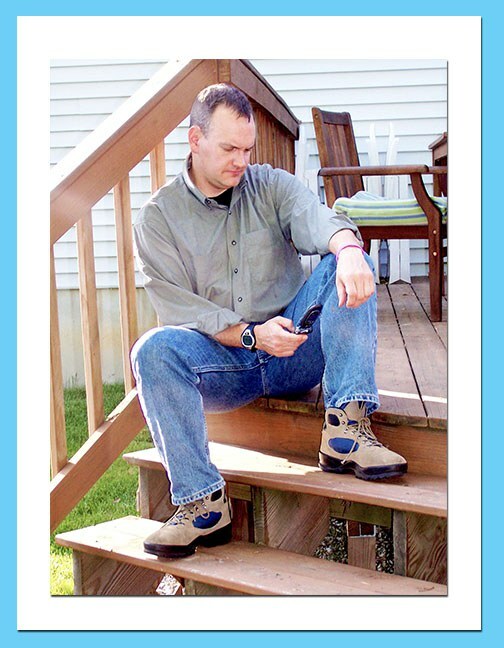 I had the ICLs implanted on April 19,2011, and haven’t had any problems. My vision post surgery was 20/10!!! Oh Yeah! 9. How has your life changed since receiving Visian ICL? No glasses, no contacts. I wake up and see the clock, can swim and not have my eyes feel like crap for the rest of the day cause of the chlorine from the pool in my contacts. My eyes aren’t dry all day cause of contacts, no more having to remember to bring all my contact crap when traveling, extra glasses and solution in my brief case (just in case). Also my vision is crazy good, (20/10), so I can see in HD and see all kinds of details I never could before. I do have to remember to stop and blink or my eyes will get tired. At home, I can totally see the difference in HD versus non-HD TV. Also at the movies, I can now pick up on all the little details that most people miss on the screen. 10. What do you do for fun? I am a private civilian pilot (I fly for fun). 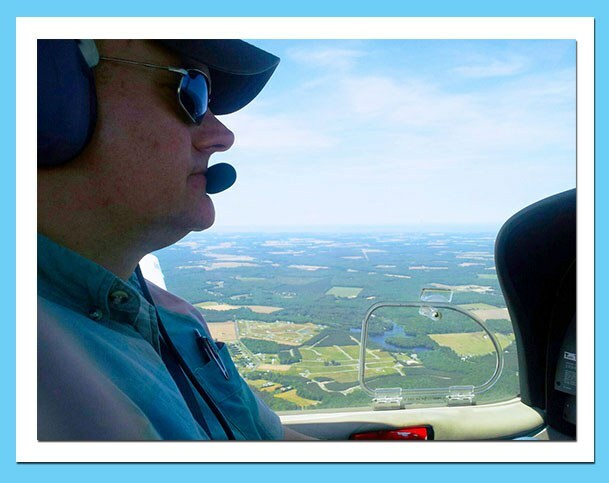 I am an instrument rated private pilot with about 640 hours, working on my commercial pilots license (single and multi- engine). 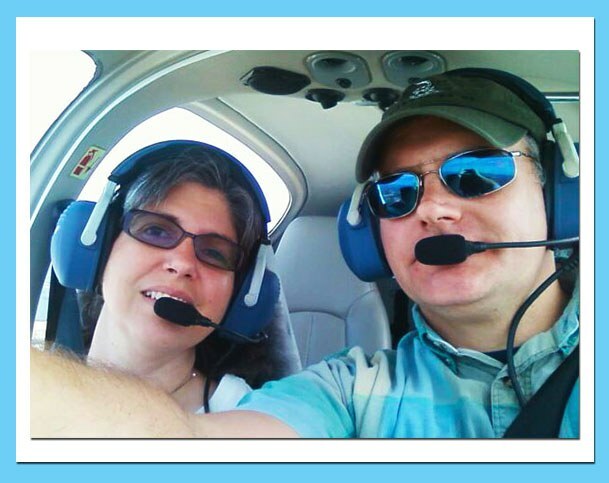 My goal is to get to CFI (certified flight instructor) and teach people to fly for fun to help pay for the addiction. 11. Would you recommend Visian ICL to others? Hell yeah! And I have! Stay tuned for more Visianary testimonies.